2. It is NOT a lack of ability to play with toys or act out made up scenarios. Children with autism can play at feeding a doll, or play with trains or bring plastic figures to life. Autism may mean their play is more repetitive or scripted from TV programmes but lack of social imagination in itself does not mean your child will never play with a toy phone or dress as a nurse. 3. It is NOT going to stop your child writing stories they have made up, telling lies or building unique structures out of lego bricks. Social imagination allows us to understand and predict the behaviour of other people. It also helps us to make sense of abstract ideas, and to imagine situations outside our immediate daily routine. Lack of social imagination is why so many people with autism struggle with change: they just can not imagine things happening any other way. Social imagination is the ability to watch others and work out their intentions, their thoughts and interpret what they may do next. This is why children with autism (and adults) find social situations such a challenge at times. They struggle to put themselves inside another persons head and therefore they prefer to watch rather than join in. Both of my children have autism. On their own they can entertain themselves, make up their own games and even play structured games with rules very well. 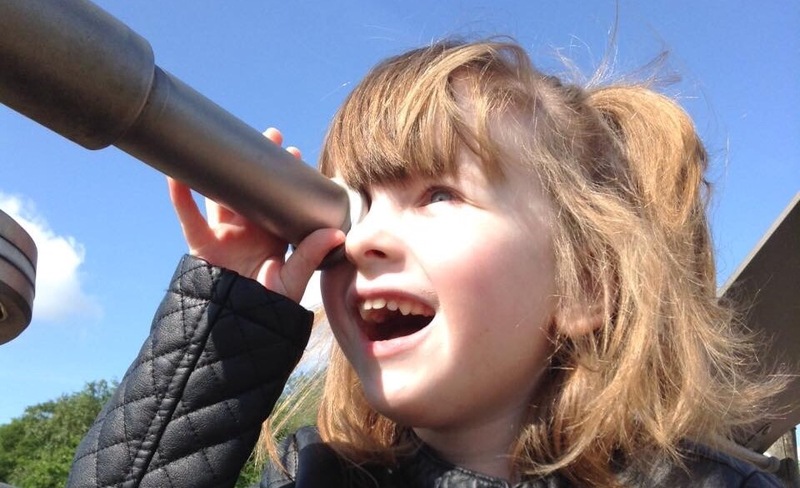 The difficulty lies when they are expected to play alongside other children because people are very unpredictable and may play in an entirely different way to what my child is used to. That ability to adapt and understand others is known as lack of social imagination. Lack of social imagination means they can not foresee what might happen next. This is why those with autism can not see danger: they simply can not imagine anything happening that has never happened before. They have never drowned before so how could that happen? They have never been knocked over by a car so how could that happen? Even if they have had some danger happen like an injury that only happened in one place in one particular chain of events so to them it will not ever happen again. This makes lack of social imagining dangerous. Lack of social imagining means they struggle to see the future. They can not imagine ever moving to a different school or a new house or having a different carer. They can not imagine their bedroom painted a different colour or someone else moving into the family. This is why it is so important to help children with autism (and adults) when anything changes. Lack of social imagining means they need support to face new situations. Going to new places, meeting new people, even road diversions all require our brain to be adaptable and without the ability to ‘imagine’ that everything will work itself out you can see why so many people with autism will struggle. Lack of social imagination is also why my daughter has no concept when others are bored listening to her talk on and on about her latest fixation. Not only can she not imagine that everyone else would love Thomas Tank Engine as much as she does but she also can not imagine that you would want to do something else if she doesn’t. She doesn’t want to cook dinner so why should I? For my non verbal son he sees no reason why he can not go and watch lifts at 3am since he can not imagine that the rest of the world is sleeping. Lack of social imagination is why my daughter is so bound up with anxiety. It is why she has so many difficulties trying new foods (unable to imagine if they will taste good or not) and why she has significant challenges socially. Yet she makes a great pirate looking out to sea in the playground as you can see from the photo. She had great fun telling me about rescuing people from the nearby houses and looking for treasure under the swings. She has plenty imagination it’s just social imagining she struggles with. People may think they are the same but they are not. My children do SUFFER from autism and I think we need to understand that. I have just outraged and angered an entire community by saying that. Before you pin me to your dart board and vilify me on social media please spare me a few minutes of your time to hear me out first. I adore my children. They are my heartbeat, my reason for being, my everything. I think they are the most beautiful human beings ever created, they are talented, hilarious, kind, amazing and every single day they make me proud. They also both suffer from autism. I use ‘suffer’ deliberately. Number one to undergo pain or distress. My children both undergo this due to their autism but in very different ways. My daughter feels very real pain when she experiences sensory overload and certain smells make her physically sick. Loud noise hurts her ears and someone walking past her in school is like them sticking needles in her. Her pain is real. Not understanding social situations distresses her to the point she has panic attacks and cries. My non verbal son experiences distress and pain daily as a direct result of his autism. The simplest of things changing or even a door open anywhere in our full street and he will self harm and scream for hours. He just can not cope and has no means to communicate why. That to me is pain and distress not just for him but for us too. Number two: to sustain injury, disadvantage or loss. Loss of ability to speak both consistently for my non verbal son and in certain situation for my daughter due to extreme anxiety; that is loss and disadvantage. To be excluded from social events because you are so limited in your interests or find social situations so complex and difficult is loss and disadvantage. To have the level of learning difficulty my son has where at 8 he can not write one letter or number nor can he read is a huge disadvantage in life. To still be wearing nappies at 8 is a disadvantage and loss. To not be able to dress yourself is disadvantage and loss. So yes they suffer from autism according to this definition too. Number four: to endure pain or disability. I see autism as a very real disability for both my children. They are unable to do what others in society take for granted. My son will require 24 hour care all of his life. My daughter has mental health difficulties which will require ongoing monitoring for most of her life. Socially they will both require support too. Their autism is life long and they require a much higher level of care than other children their age do. Do they need to ‘endure’? Yes I believe they do. A school day is huge for them both to cope with. The demands placed on them, the sensory difficulties faced and the continuous transition from outside to inside and different rooms puts massive stress on them both and it takes huge strength for them to get through every day. Autism causes them mental and physical pain at times in ways many of us don’t quite understand. My children live in a world that is different to them and confusing. Their communication difficulties and social struggles make everyday a challenge. They struggle, they endure and they face difficulties. They are suffering. It is apparently not politically correct to say anyone suffers from anything. The negative connotations associated with the word suffer make some people very angry. I am not dismissing that at all. Yet I am left with a big concern: If we continue to only allow people to use positive and politely correct language when referring to autism like it is ‘just another way to see the world‘, or ‘it is a gift‘, or ‘it is a difference to embrace‘ then are we doing an injustice to those who are in fact struggling daily, in pain mentally or physically as a result of their autism, and suffering as a result of inflexibility, social confusion and misunderstood repetitive movements like flapping? My children need support. They need people to help them through their struggles. If that means I come across as negative saying they suffer from autism then so be it. Sometimes I have no choice but to break the taboo in order to get the support my children desperately need. If by stating they are suffering it causes people to want to help, or makes them think about how they treat them then I feel it is justified. I tell my children everyday how wonderful they are, how precious they are, how loved they are. I celebrate their achievements and accept them but I refuse to sugar coat their struggles and I want to honour them both for the way they cope in all the ways they truly suffer as a result of their autism. They suffer from autism and I think other people need to understand that. She is NOT a ‘spoil brat’ she is a child with serious food aversions! Have you ever joined any food groups on social media or watched food programmes on television? I have to say I usually avoid them as someone who generally has little time to watch TV and who struggles to cook. However I was chatting to a friend today who had been watching TV recently and heard a famous chef on prime time TV talking about ‘fussy eaters’ and saying that it was all down to the parents ‘giving in.’ She felt she had to say to me as she knows the struggles I face daily with my daughter. Just minutes later a fellow blogger posted how she was outraged having read on a huge Facebook group relating to food that a professional was advocating ‘starving’ fussy children until they gave in and ate! I should be used to this by now but it still hurts. People feel so open about judging my parenting and my cooking and even my mental health because I happen to have a child who has serious food aversions and struggles to eat. It is a daily battle for me to remind myself I am not to blame! Every parent wants to feed their child. It is fundamental to their welfare and brings us so much satisfaction to know they are happy and nourished. My daughter was a wonderful breast feeder and despite having low birth weight, she was settled, happy and growing on breast milk. Then I began weaning and suddenly everything changed! From the very start she refused solid food and eight years later we are still struggling. We have seen paediatricians, dieticians, health visitors, mental health nurses and psychologists and we are still struggling. If I put food in front of her and tell her ‘it is this or nothing’ she would starve. If food touches she has a huge meltdown and stops talking and interacting. It traumatises her beyond belief. Every single day is a struggle. People say it is my fault, like that helps. People say she is controlling us, like that will make her eat! The worst ones are those who say she is a ‘spoilt brat’ when in fact she is a child with extreme anxiety and food aversion! It is heartbreaking. We have a few foods she will eat and those are saving us from the added trauma of a feeding tube (a trauma that could result in no food or drink ever going in her mouth again). She has only two things she will drink. Her weight is a serious worry as is her health as she walks a fine balance between being ‘well’ and ‘we may need to intervene’. We have days she will eat and days she won’t. Her food aversion and eating issues are complex and related to many things and not just ‘fussy eating’. If I am to blame then why does her twin brother have no issue with food and in fact will eat anything out in front of him? There is no history of eating disorders in my family. My children are not fed on junk. My daughter is not a spoilt brat and neither will I allow her to starve. That is known as abuse! Food aversion and eating disorders are REAL. TV personalities should know better. Professionals should know better. Ignorance is rife about this matter and it is destroying children and families everywhere. My child is NOT a spoilt brat! She is caring, loving, gentle, beautiful and kind. She also has food aversions and an eating disorder. Unless you live with this it is hard to understand. Ignorance from professionals and TV personalities is not helping. Food aversions and eating disorders are no laughing matter. How would you feel if it was your child or someone you loved struggling?